Whitby 11,641 miles away – but Phil’s here in spirit | "MASTERS"
Posted on February 2, 2016 by Mark and Sarah - MASTERS! MARK: It’s funny how you forget things. The pain associated with child birth (yes men suffer too you know), where you left your car keys/reading glasses, or when Middlesbrough FC was last in the Premiership. And on this trip, we have both been very conscious of how you can lose your commercial sharpness as your mind retrains to take in different experiences rather than everyday work pressures. Your brain works in a completely different way, which has taken time to get used to. But today, I was ashamed. Ashamed because I had briefly forgotten what had happened on 22nd February 2011. I just didn’t have my thinking head on as we left our motel and set off to walk the fifteen minutes in to the centre of Christchurch. It was Monday morning. I could put it down to the two flights from Brisbane via Sydney (9 hours with layover) and arriving just after midnight. Or thinking about the Immigration Officer who quite rightly delayed us whilst she ensured there were no “nasties” on Sarah’s walking shoes as she set foot on New Zealand soil. But as we turned the corner, BANG I suddenly remembered. 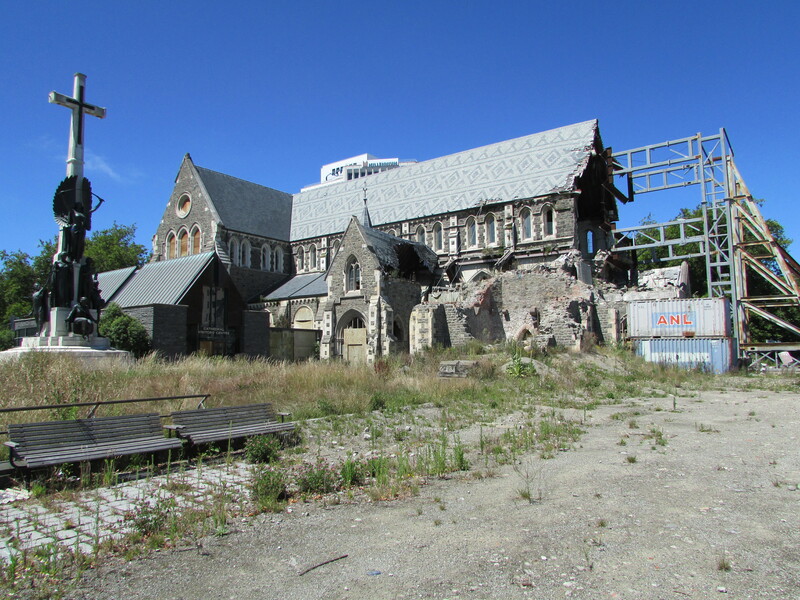 All I could see was the far end of the former Anglican Cathedral which had suffered serious damage and was now forlornly propped up by an ugly steel support structure. 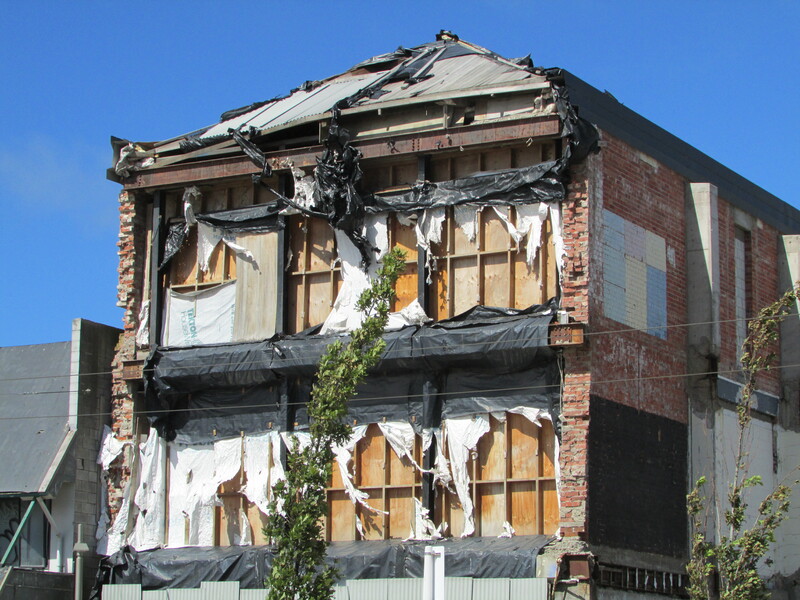 This English looking “home from home” had suffered a devastating earthquake, just below the surface of the Earth. It registered 6.3 on the Richter Scale. Yes 6.3!!! We slowly moved on. 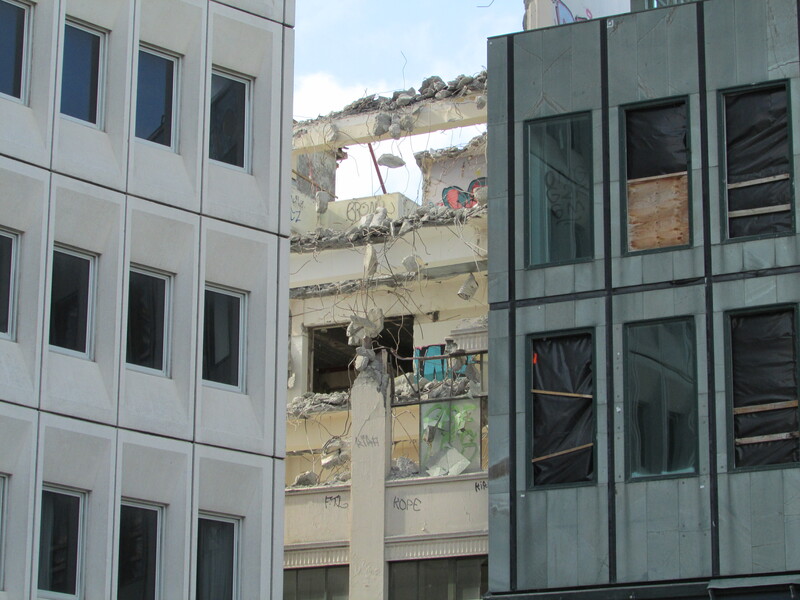 All we could see were boarded up office blocks. The work of graffiti artists adorned buildings everywhere you looked. No guests at the multi-storey Millennium Hotel, which lay empty. The Central Business District reminded me a little of when we explored Pripyat, the former Soviet town next to Chernobyl which had been evacuated after the nuclear explosion. The earthquake, which I’d somehow “forgotten”, had claimed 185 lives. It was a sad, strange experience. Beautiful blue skies, contrasted sharply against the reflecting light of sea containers which were still being used as shops, offices, restaurants and cafés. Phil Whitby, a good friend of mine and Construction Director of Wates, would not have recognised the place from the lovely town he had visited with his family in 2007. Phil described New Zealand in a text to me 9 years ago as “the ultimate playground”. That I hope is still the case in the rest of this country. 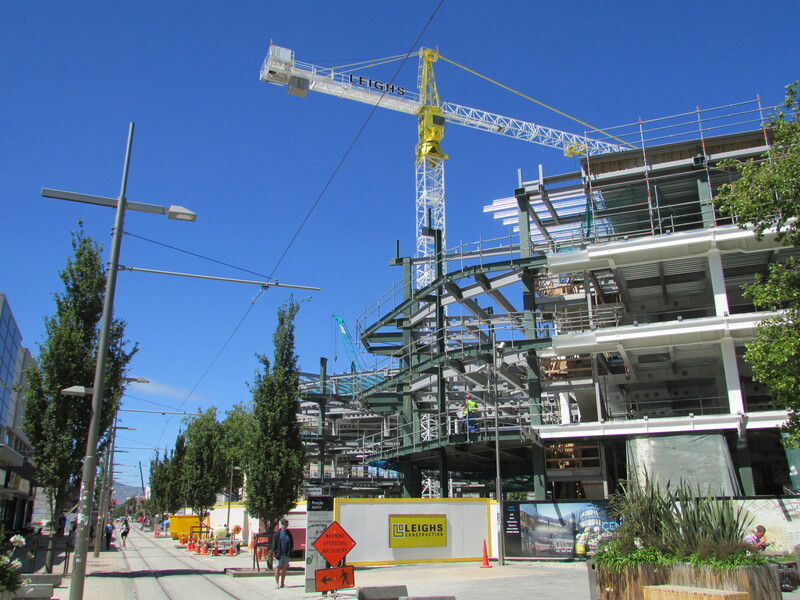 But all I could see across the skyline was crane after crane and lots of men with hard hats. Phil, they need you. 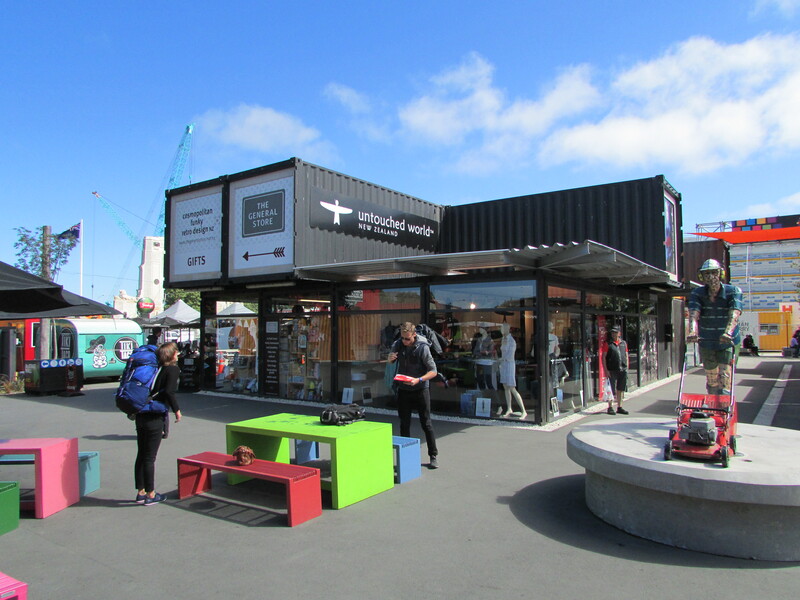 Leave your highly successful project in Greenwich and head straight to Christchurch, NOW. Phil – there’s a job with your name on it here! I was getting quite emotional and sad by the whole experience. Sights, sounds and memories of Kathmandhu flooded back. There were close parallels and not just because both cities had been the victim of plate tectonics. The Cathedral, which had been the centre of the town, had an ugly looking construction “keep out fence” around its entire perimeter. There was no sign of any activity and that we later found out was because of the continuing debate regarding the cost of repair. In a NZ Government commissioned report published just before Christmas it concluded that the bill would be in excess of £50 million. And in a country of just 4.5 million people who pays? Half an hour later, we crossed the road to see a further graphic reminder of this tragic event. 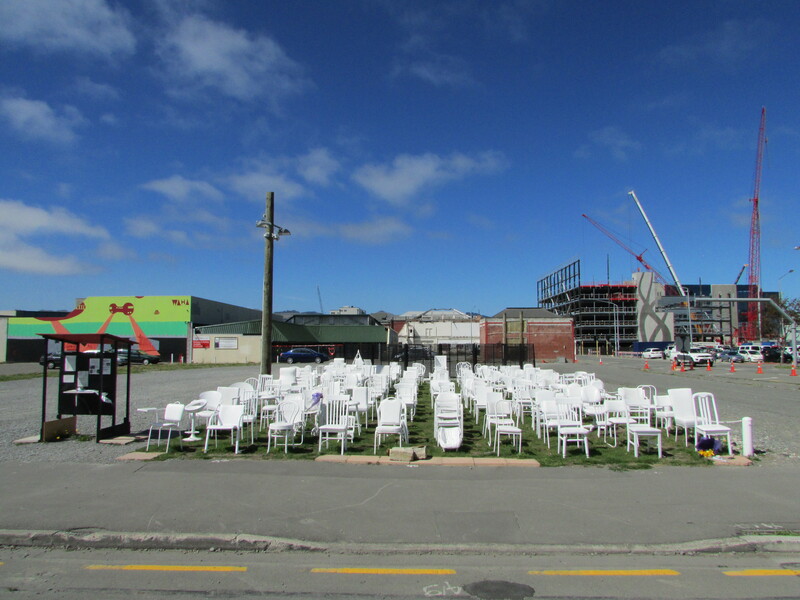 On a piece of waste ground, where a Church once stood, 185 empty white chairs had been positioned to create a thought provoking artistic memorial. 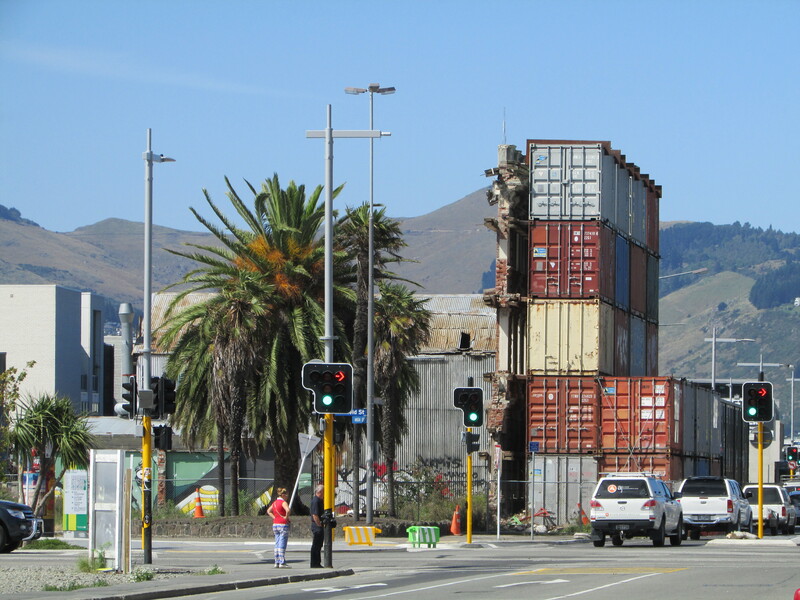 Reflection of Loss of Lives, Livelihoods and Living in Neighbourhood, the work of Peter Majendie. Each chair represented one of the 185 lives lost. It’s a simple but highly effective reminder, so people like me don’t forget. 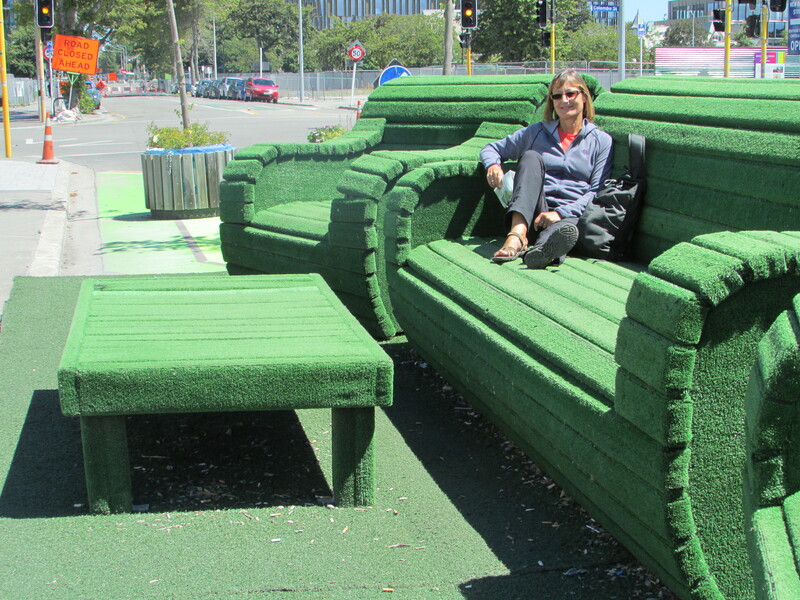 As we stared in silence as the Christchurch traffic roared past, each chair seemed to have its own personality. 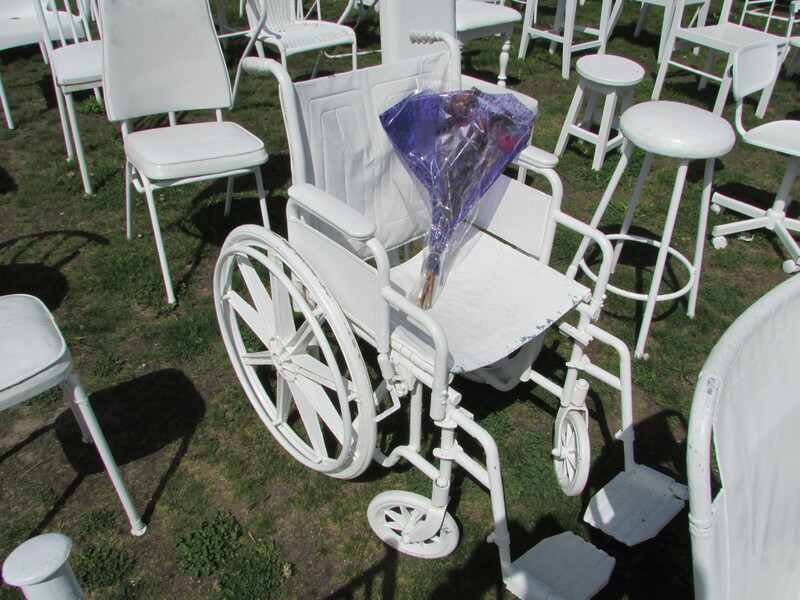 An office chair, symbolic of the many office workers who died. A child seat, centrally positioned, really made you think and a wheelchair with cheap bouquet positioned on the seat reminding us all that nobody was immune. But this is not a town in mourning, and whilst nobody will ever forget, there are signs of new life and rejuvenation. Modern day art murals cover the sides of buildings. Humorous large sized furniture provides the perfect backdrop for a funny photo. 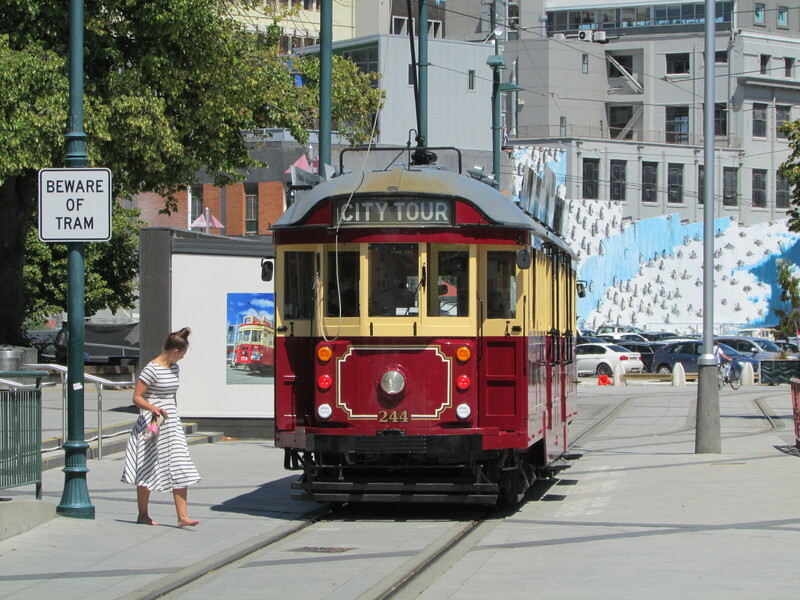 The famous trams rumble past at regular intervals, even though the tracks don’t stretch very far. Yes life goes on and this is certainly true in the beautiful Botanic Gardens, which reminded us so much of a National Trust garden in the height of Summer. So a thought provoking first day, 12,800 miles from home. A day which has convinced me not to fall into my old habit of thinking about the future whilst forgetting the here and now. Sure we will bounce a number of ideas around about our new life when we return in just 100 days’ time. But as for the detail, Nah, we will continue living for the moment. What will be will be. I just hope my memory improves! 2 February 2016 – And my memory will improve with sights like this. 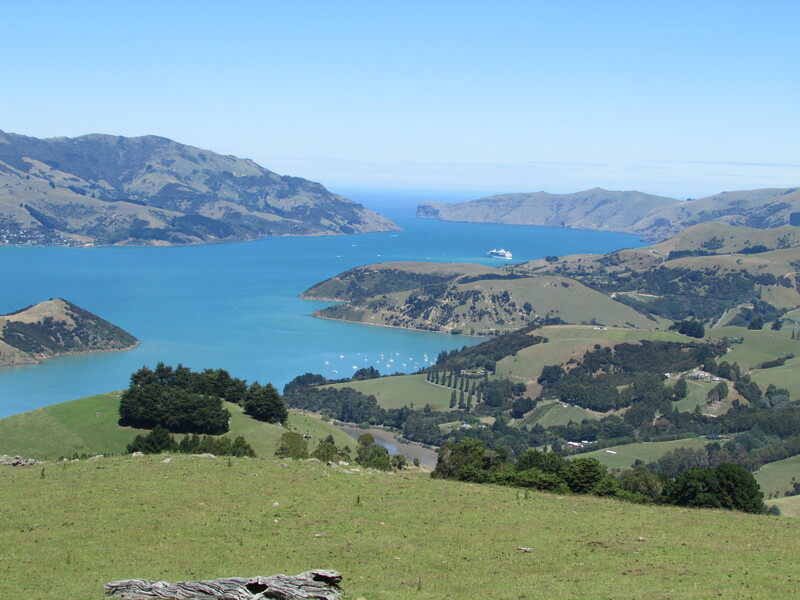 Phil, in an email yesterday said we should visit Akaroa. So we did today. 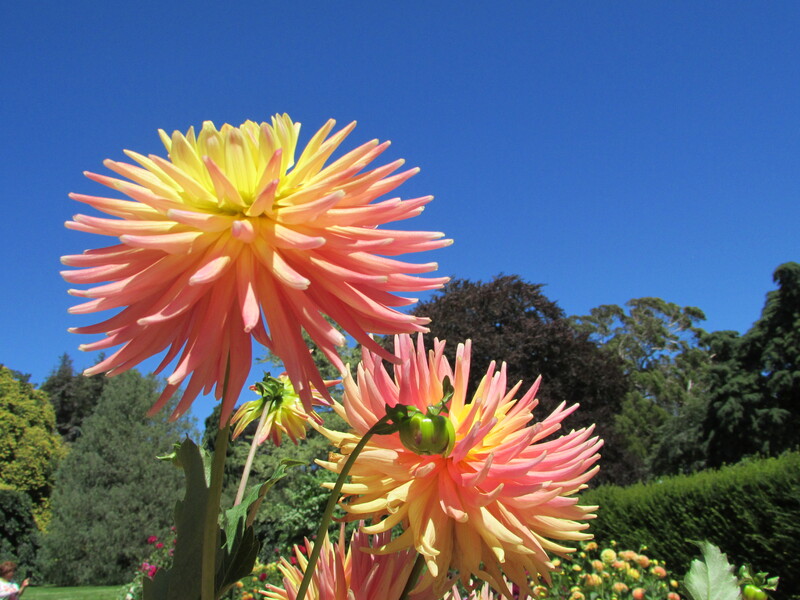 Stunning and hopefully more to come, with temperatures hitting 29C and 28C due tomorrow…. it’s bound to rain soon. Nicola had a terrible time caught in the earthquake.she was driving and the road opened up in front of her. The car went into the ground and a burst water main started to fill the car. Fortunately someone manage to pull her free! They had 2 long years of quite major aftershocks which has been very wearing. 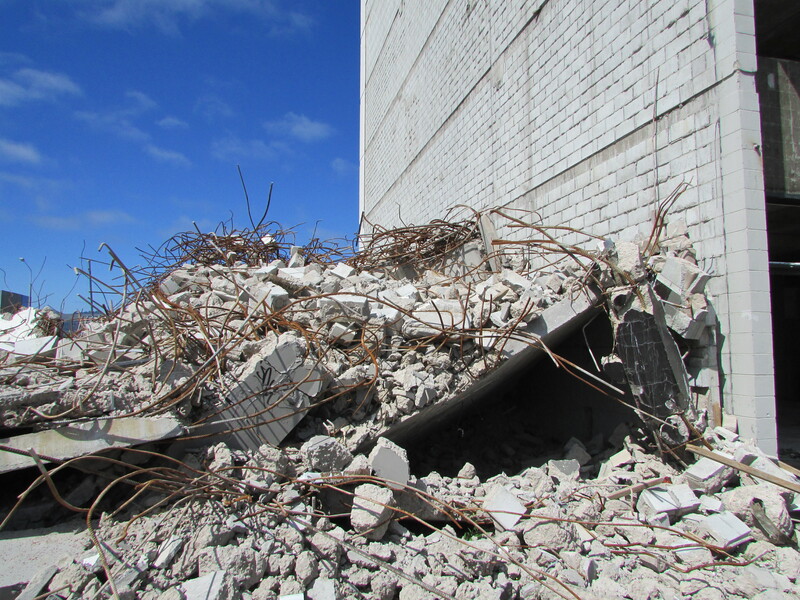 We were there for one of the major shocks – a most unpleasant experience. 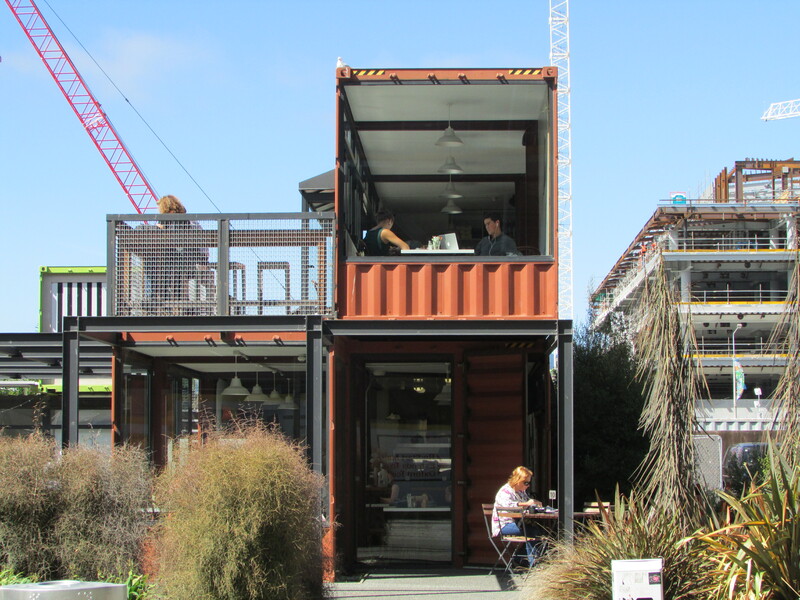 It is amazing how they have regenerated Christchurch with the containers. I remember this Earthquake. The reason I do is that one of Nicola’s sixth form friends was there at the time. She (Nic) and I were on the M25 when the news came on the radio. We were so worried about Penny who seemed to follow natural disasters around at the time. We had to wait ages to find out if she was OK and Nic was beside herself. All was well. Both the girls loved NZ. They hired a car and pretty much went all over. Steph drove and Nic navigated. Now this is the daughter who is directionaly challenged and once drove home from Oxford to Haslemere via Croydon! A call to her dad at work to say she was very lost but knew she was in Croydon because she was outside Ikea!!! We were very surprised to find in NZ they had no Sat Nav and just followed the little three/four road maps on the back of the tourist board leaflets. They managed and as Nic said we knew that places were ‘just over there’. I hope NZ knocks your socks off!!! Mark. Stop counting the days!!! It will be home time before you know it! Oh and also please forgive my ignorance as I didn’t know that Middlesbrough was in Yorkshire. I always had it as too far North. As a die hard WBA fan I’m always interested why people support a particular team. You and I clearly don’t support teams who ever win much so can’t be described as glory hunters so did you start following them as a kid? Does Joe follow them? Why not Leeds? New Zealand was my childhood home. I lived there (moving around with my Dad’s job) from age 5 to age 10, and have lots of sunny childhood memories. 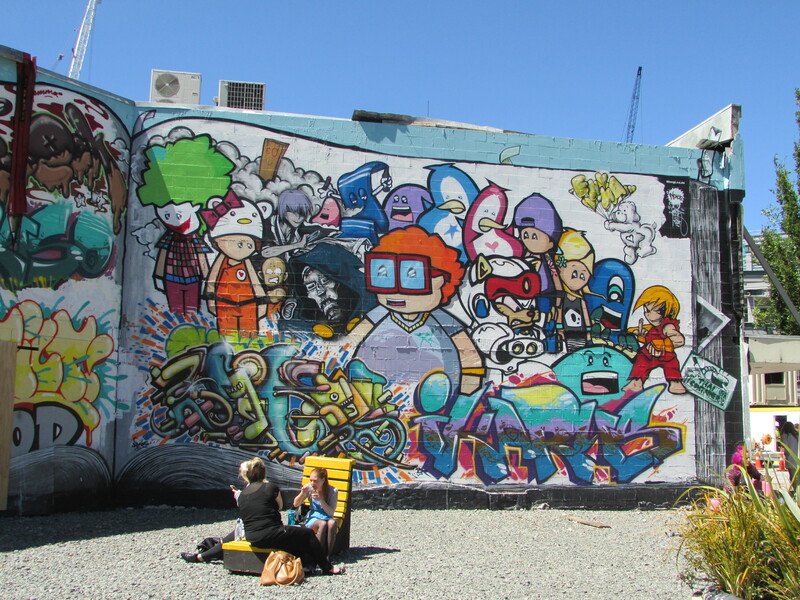 Plimmerton, Masterton, Auckland, Invercargill and Christchurch; Christchurch felt most like England. In my memory it never drizzles in NZ, it’s either sunny or tipping down with stair rods of rain. There’s nothing like hard rain on a tin for making me feel safe, even now. 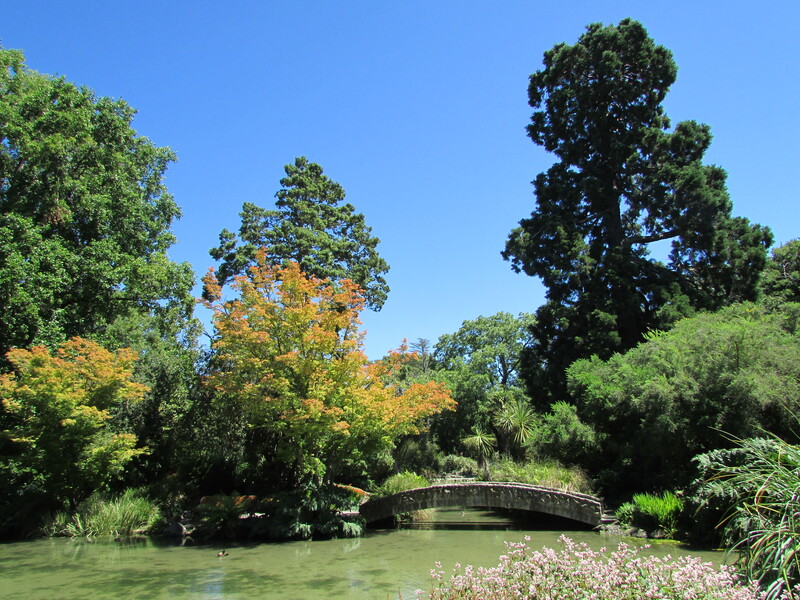 The big thing about NZ to me is I always get a feeling a bit like a sonic boom when I see a scene from NZ in a photo or on the TV without being aware – it’s because New Zealand has different greens. I know it’s a picture of NZ before I realise it consciously, there is a visceral recognition. It’s the most beautiful place. 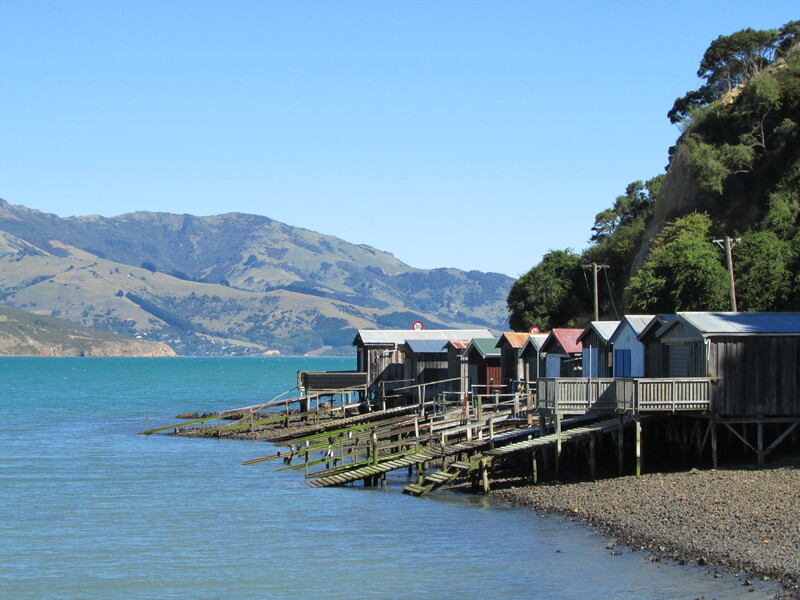 If you are going to the far North and visiting 90 mile beach, look out for Cooper’s Beach – my childhood holiday place, with flowering red pohutukawa trees and creeks to dam up. Really looking forward to your photos. Like Mary said and yourselves you do forget these things. Once they are no longer in the news headlines they seem to no longer be relevant. So not true because they are and especially to the people who are still there trying to re build. Those white chairs did for me: whoever thought of that idea they deserve a medal because once you see them, unlike the news headlines, you will never forget and they do still haunt me. Shame I can’t put a picture up to send back but our shots are very similar: trouble was I felt I shouldn’t photograph those chairs but I did and maybe that guilt is what still haunts. I have a shot of a couple sitting on that bridge, romantically taking a selfie, it looked tailor made for the job. Travel safe, it’s one hell of a country still to come. Gosh, this brought back the memories. 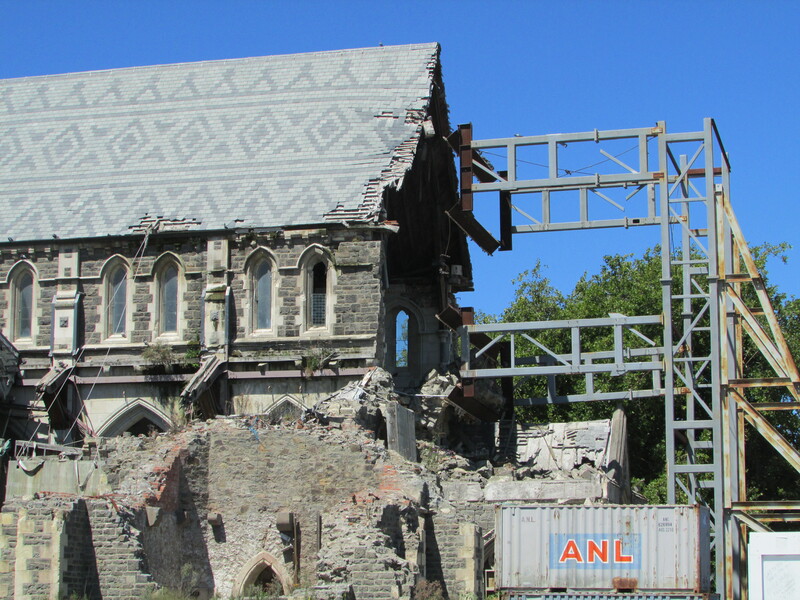 Christchurch is quite a shock when you first see the devastation. And with the earthquake fund levied on every household through taxation exhausted and the main insurance companies gone bust through immense claims, you wonder who will pay. 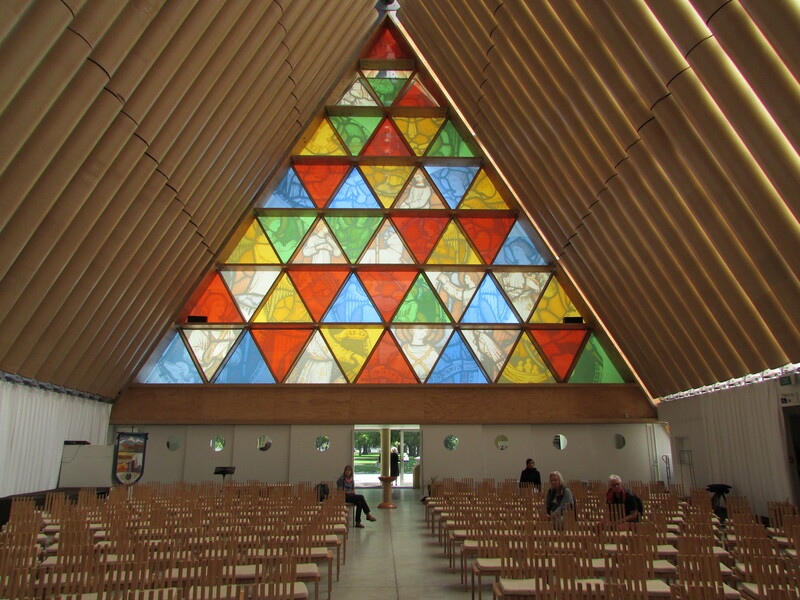 I found the cardboard cathedral intensely moving and was so annoyed with a tourist back to the altar taking a selfie! Good to see Akaroa in the sunlight. When we visited we had a rather “misty moisty” day as Pooh Bear would say. 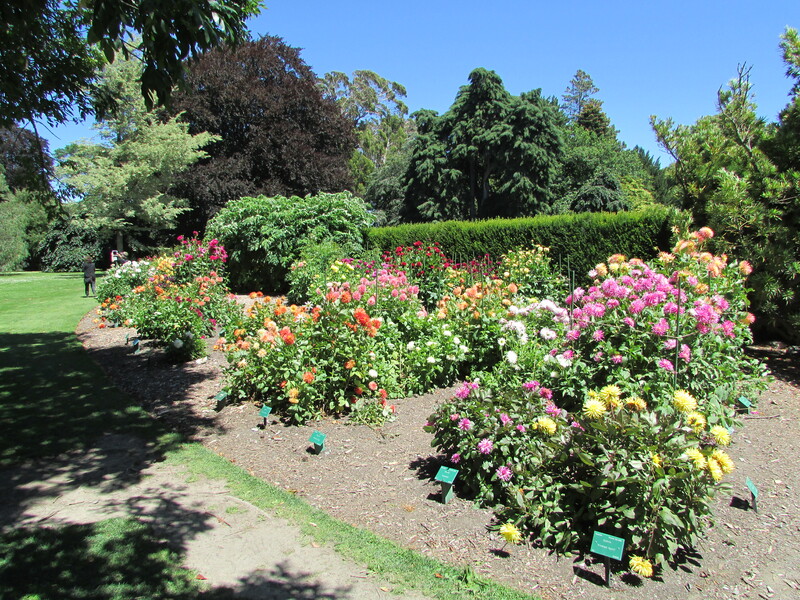 The gardens are a delight. Seem to think we have a similar shot of the bridge. Can’t wait to see more pics. It’s like we there all over again.